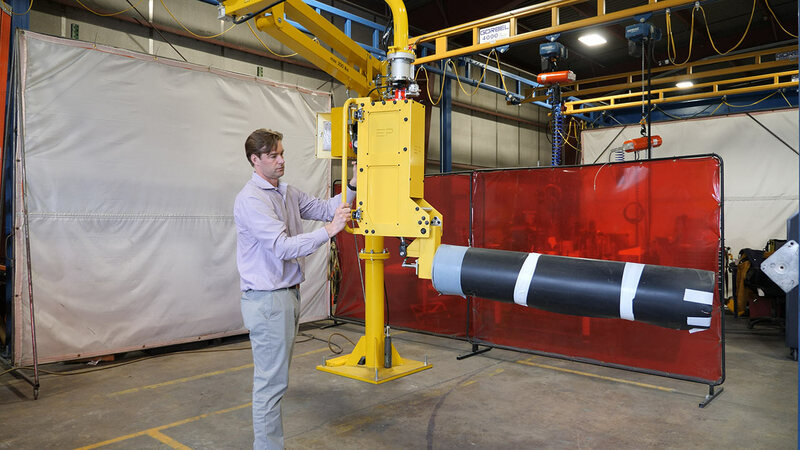 Our Easy Manipulator Arm (EMA) and a pneumatic grip tool was designed and built to lift and grip large power line electrical insulators. 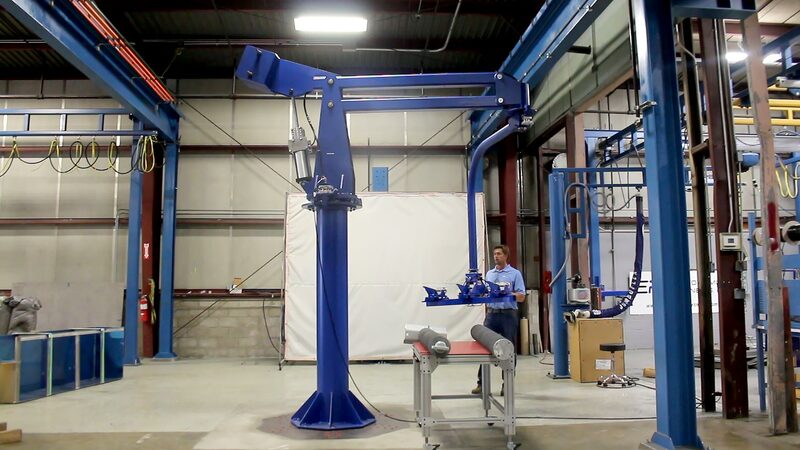 The air powered manipulator arm features precision bearings, 360-degree rotation at the mast, and 360-degree rotation at the secondary arm. The grip tool features a steel and aluminum powder coated frame, ergonomic handle bar with up/down, grip/release controls, rotation brake controls, adjustable grip jaws, and 10 degrees of horizontal adjustment allowing alignment of the insulator into a crimping machine. 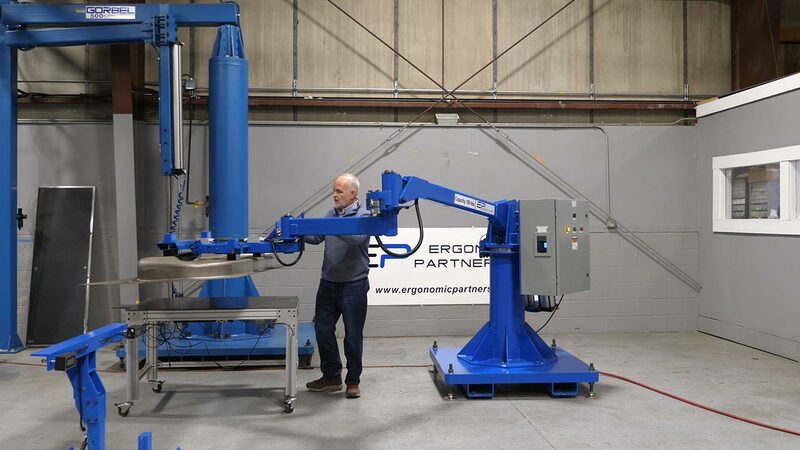 Ergonomic Partners manufactured this 600-pound capacity hydraulic articulating arm to lift various length metal sheets. The HMA features proportional up/down controls, operator controlled brakes, and a safety system to prevent the metal sheets from being released in mid-air. The end effector is an adjustable vacuum gripper tool for different lengths of sheet metal. The low profile and lightweight design of this arm allows for fast and easy movements in very tight work areas. 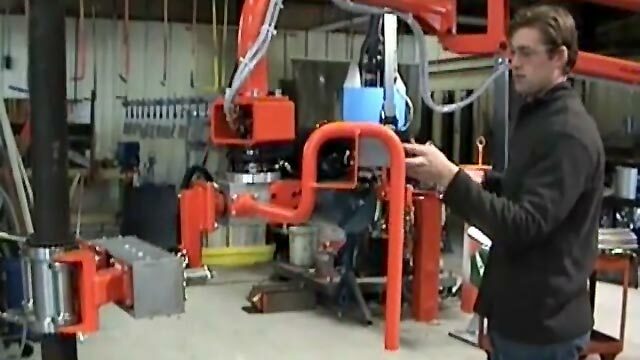 This arm can be customized with our floating handle to prevent the operator from bending down. 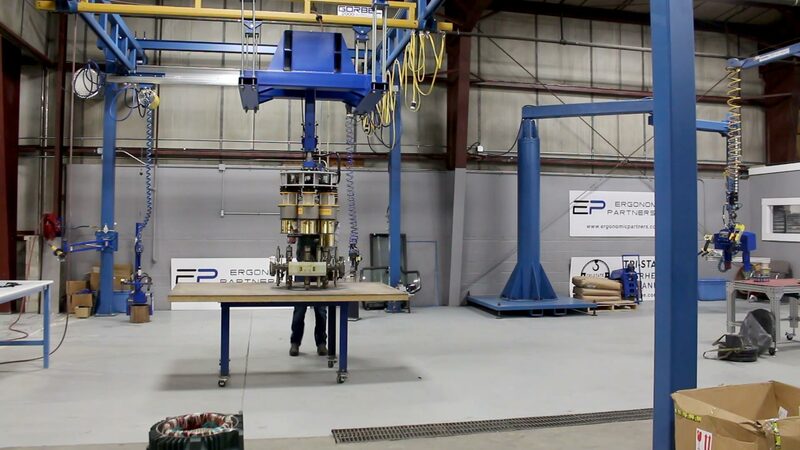 The LPA uses pneumatic cylinders for lifting and a vacuum gripper to grab material. The arm uses precision bearings for smooth precise movement and can be fitted with operator controlled air powered rotation brakes. The lightweight design of this arm allows for fast and easy movement. This arm has optional air brakes that lock the unit in place when needed. 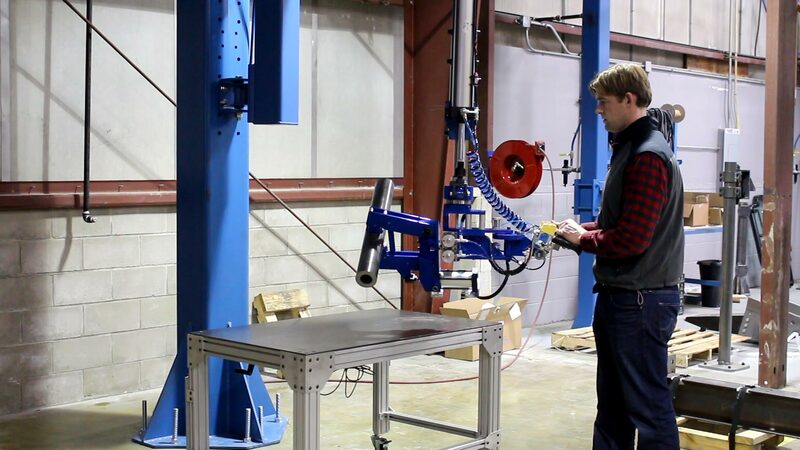 This arm uses air to power pneumatic cylinders in order to do the lift. 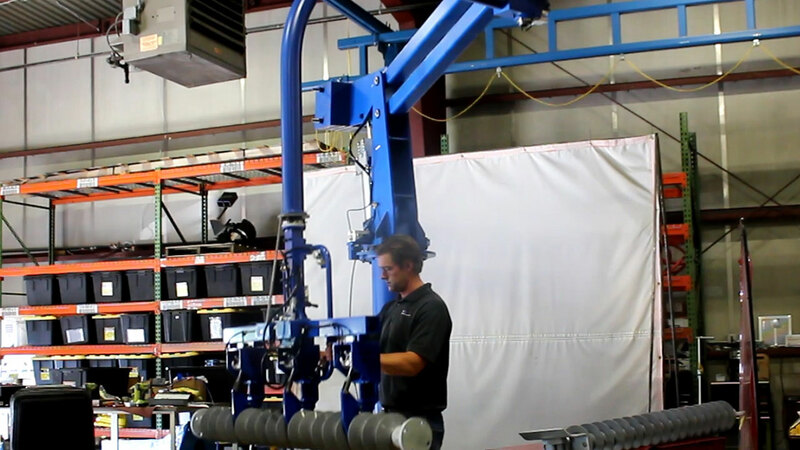 Our triple articulated manipulator is perfect for extremely tight work areas. 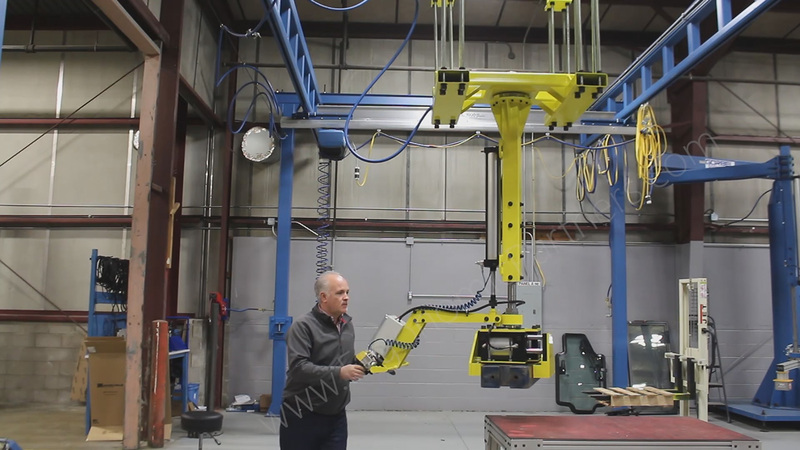 The manipulator arm and the end effector can be customized to fit your material handling application. The Reach In Arm (RIA) is ideal for very tight work areas with low headroom. This arm is customized with 4 floating electromagnets and a battery backup in the event of a power loss. The arm uses precision bearings for smooth precise movement and has operator controlled air powered rotation brakes. Our in-house team of engineers’ custom designed and built this unique tool arm for grinding tall parts. Our team machined a one-of-a-kind sleeve bearing to allow this unique grinder to rotate and move 360 degrees on all 3-axis. The tool arm is articulating and has a wide range of movement. The secondary arm and has 50 inches of vertical travel and keeps the tool in a zero gravity position at all times. The mast for the arm is mounted to a portable base with locking casters. This custom work seat allows the operator to have a wide range of movement for working on vehicles, machines, or industrial equipment. 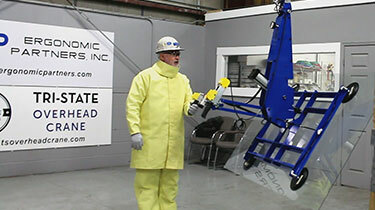 The revolving seat is attached to a manipulator arm allowing 360 degree rotation mounted on a 43 foot long bridge crane. It features a 4-point safety harness and lever controls for six feet (72") of vertical height adjustment allowing for movement in all directions. Custom Rigid Torque Tube to lift 300 pound gate valves. 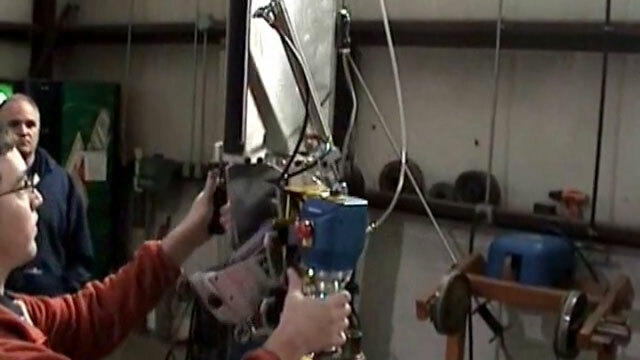 The tool uses a pneumatic cylinders to lift and grip. The tool has spring loaded detents for lifting at multiple angles. This tool was designed to pick up 300 pound gate valves to be loaded into lapping machines with very little clearance. 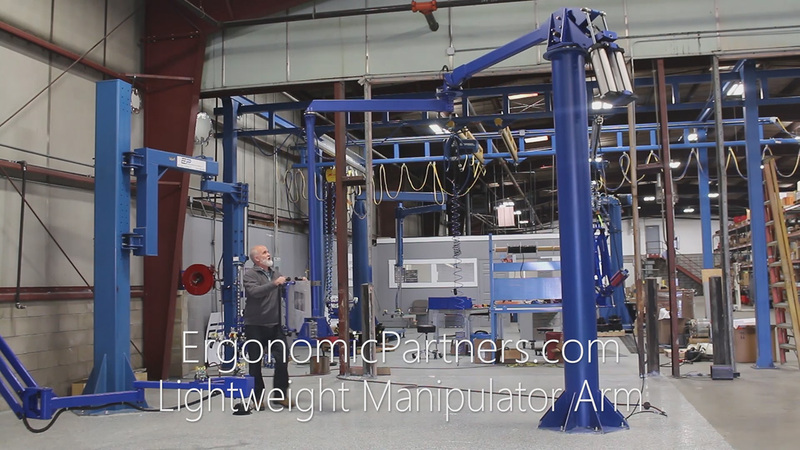 We integrated our Easy Manipulator Arm (EMA) with a custom lifting device to grip and lift large power line electrical insulators. 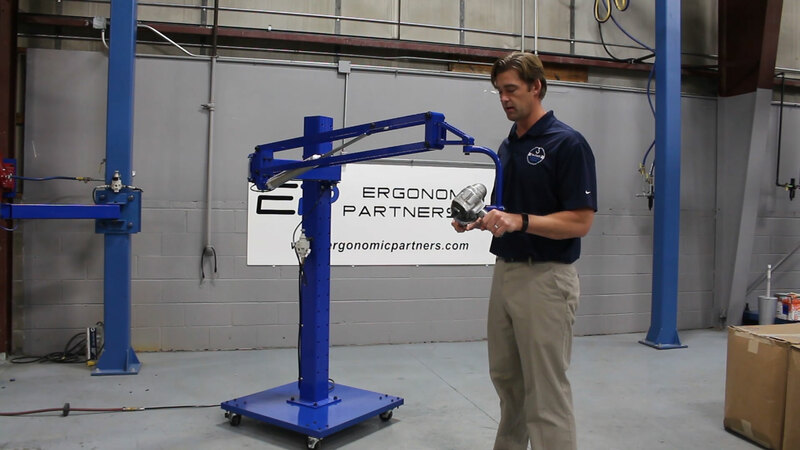 The air powered Easy Manipulator Arm features: precision bearings for smooth, accurate 360-degree rotation at the mast, and 360-degree rotation at the secondary arm. The grip tool features a steel and aluminum powder coated frame, ergonomic high/low handle bar with high/low, up/down controls, rotation brake controls, and adjustable grip jaws. 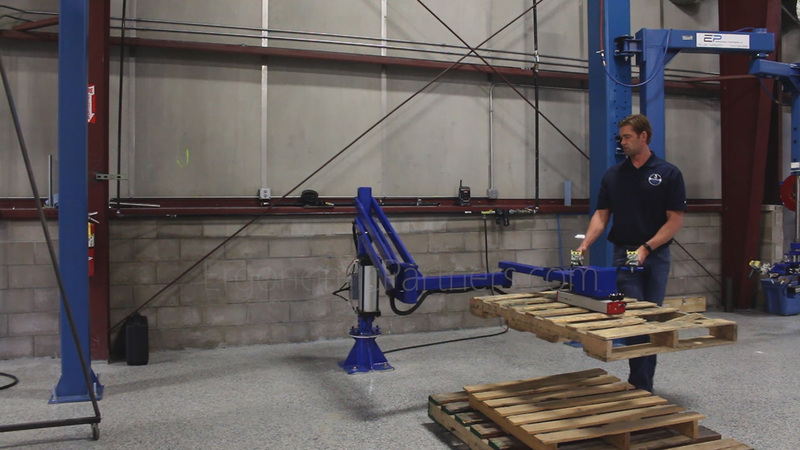 Our load balancing manipulator arm is designed and built to pitch, lift and grip large rolls. 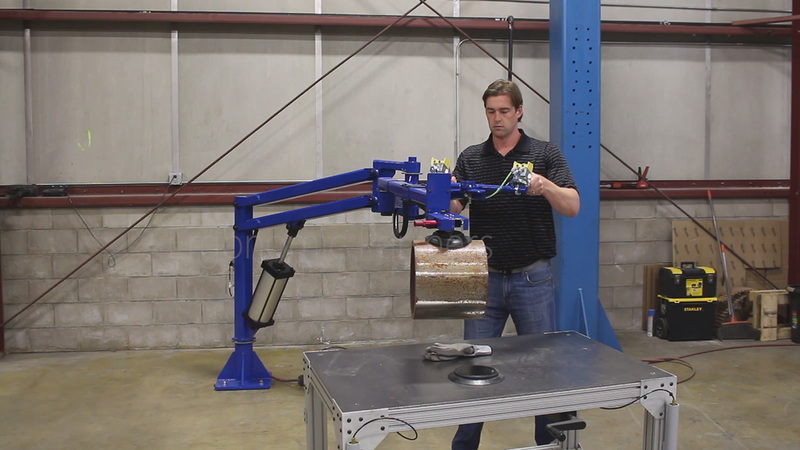 The air powered manipulator arm features precision bearings, 360-degree rotation at the mast, and 360-degree rotation at the secondary arm. The grip tool features steel serrated jaws, aluminum powder coated frame, ergonomic high/low handle bar with interlocking high/low grip/release controls, pitch up/down controls, green/red grip indicator gauge, and load balance adjustment controls. 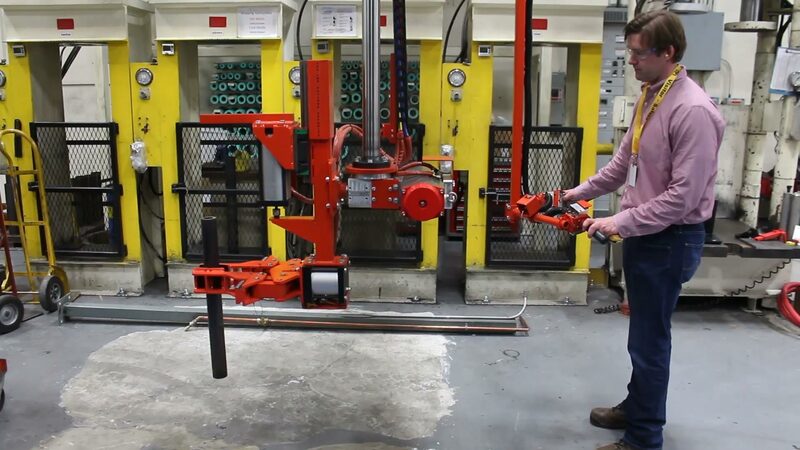 This rigid manipulator lifting device allows one operator to load large metal cylinders into a CNC machine. 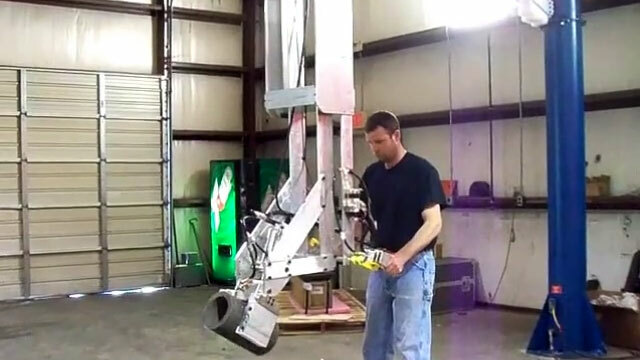 Custom manipulator to grip and rotate 500 pound parts and load them in to a hydraulic press. Articulated Manipulator Arm with the ability to grip and rotate 200 pound parts 180 degrees for installation into pump housing. 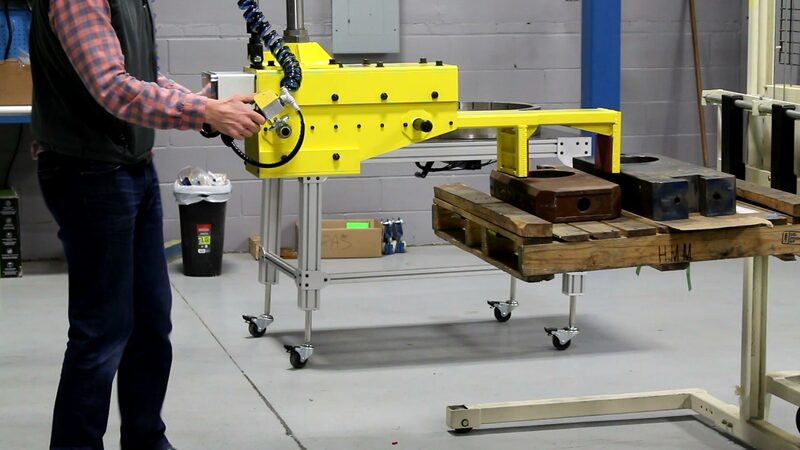 This large industrial articulated manipulator arm with fork attachment is ideal for unloading trays of battery plates and loading them into a cart. 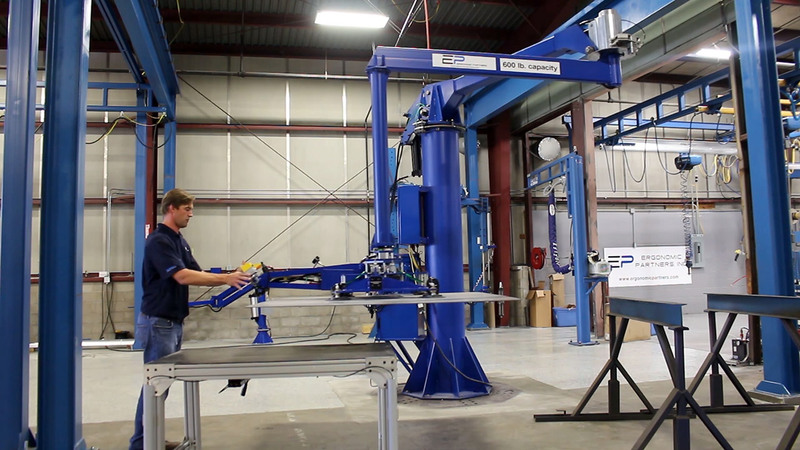 Rigid vertical lift column integrated with the G-Force zero gravity intelligent assisted lifting device. 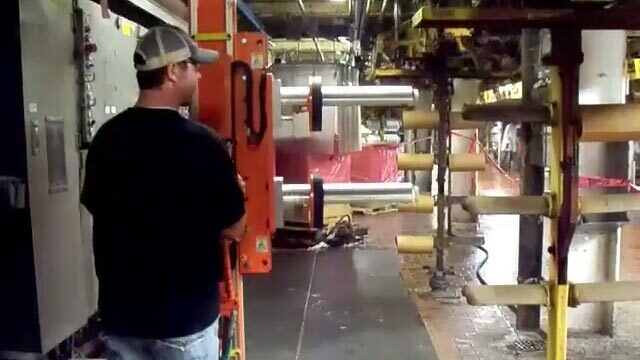 Gorbel Easy Arm with rigid Thompson rod shafts utilizing a pneumatic grip, pitch and manual rotate for automotive parts. 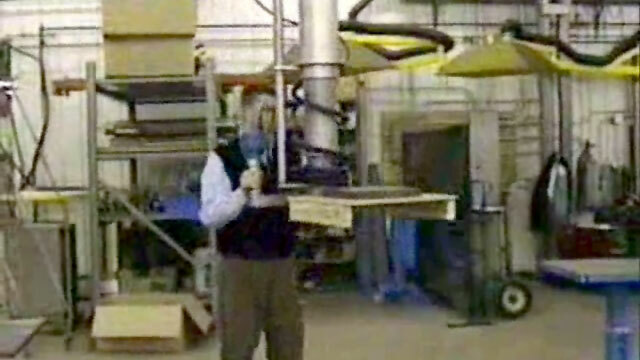 This rigid vertical lifter was designed and built for installing HVAC Panels onto an assembly. 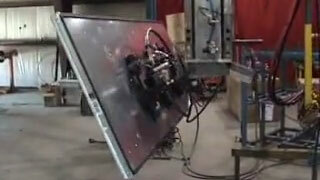 It has 90 degrees of momentary pitch, continuous 360 degrees of rotation and grips the panels using four vacuum cups. We designed this rigid vertical tool for lifting steel tubes. It features a pneumatic grip and pitch and is integrated with the Gorbel Easy Arm. Our team of engineers integrated a Gorbel G-Force with rigid telescoping tubes and mechanical fork tool for lifting off center loads. 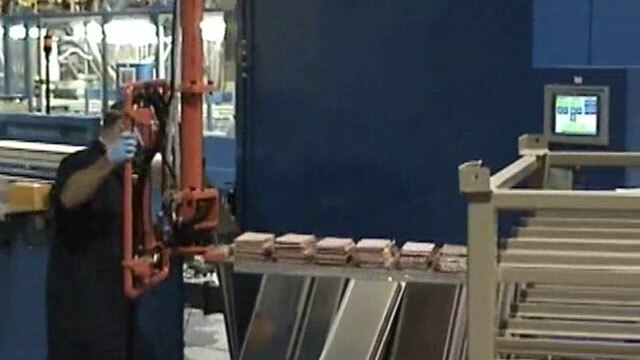 Portable mechanical lifting device videos for: electric roll lifters, turners, roll handlers, portable stackers, lift tables, and powered hand trucks.